Find the closest Tennessee court that processes name changes. You can file your petition in the court clerk's office of your county's probate, circuit or county court. Visit the official website of the Tennessee State Courts to locate courts near you. Make a copy of your state photo identification, your original birth certificate and your original Social Security card. Copies are needed to file your petition. Go to the court you located. Bring your original identification, birth certificate, Social Security card and the copies. Ask the clerk for a Petition for Adult Change of Name, Affidavit of Name Change and the Order Allowing Name Change. Complete the petition. You need your name as shown on your birth certificate, your place and date of birth, your reason and the name you're requesting. Don't sign the petition. Fill out the bottom of the Affidavit of Name Change. Don't sign or date the affidavit yet. 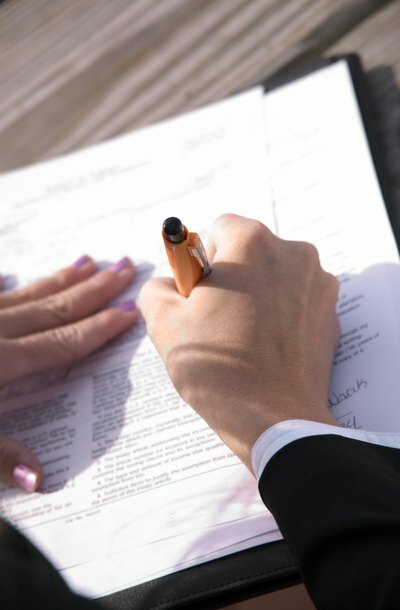 You need your home address and telephone number after the signature line. Complete the Order Allowing Name Change. You need your current name, requested name, birthplace and birth date. Sign the order in the petitioner spot and include your address and telephone number. Don't sign on the Chancellor line. Sign the petition and affidavit in front of the court clerk. She must notarize your signature. Give the clerk the order, your identification copies and the other papers for filing. Pay the fee; fees vary by Tennessee county. Your name change will be complete once the judge signs the order. You might have to go in front of the judge depending on your county's procedures.